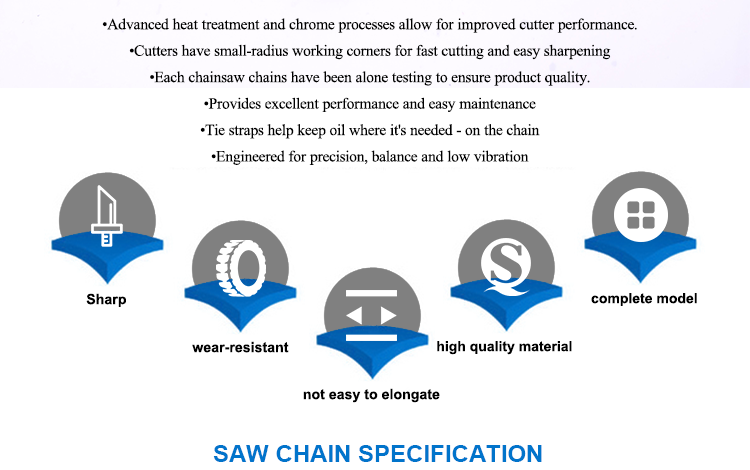 Jinhua Jijin industry &trade co., LTD. Was established in July 2016, is a professional saw chain, guide and other garden tools and related accessories factory. Located in jinhua city, linjiang development zone,15 kilometers to the city center. Our company currently has nearly a thousand employees, 20 professional and technical personnel, the company introduces and use the Taiwan, Japan has the world's advanced level of stamping, cold heading equipment, and independent development and production of precision stamping abrasive, saw chain automated assembly line assembly machine, automatic grinders, central quenching and other special equipment. 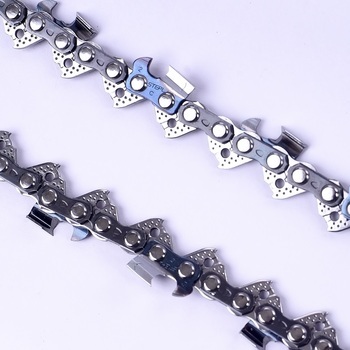 The company pays attention to its own research and development, successively develops various types of saw chain 1/4.3/8LP 325.3/8 404, guide bar, and independently develops the patented alloy chain, which is well received at home and abroad. "Quality is the life of the enterprise." the company adheres to this craftsman spirit, pays attention to quality management, implements TS16949 standard, and strictly implements the management of 6S, Kanban management and lean production. 1.We are professional factory.Although we bllt our factory only more than 1 year.our boss & our technology stuff have worked in saw chain and guide bar more than 10 years.We are not Trading company . 2.Free samples are available before you place the order from us. 3.Reasonable price ensures the quality,not like other cometitors sacrifice to get the order. 5.all tyoes of saw chain and guide var available. Q :can we order the colour we need? Q:can you do cusomers logo on the chain? 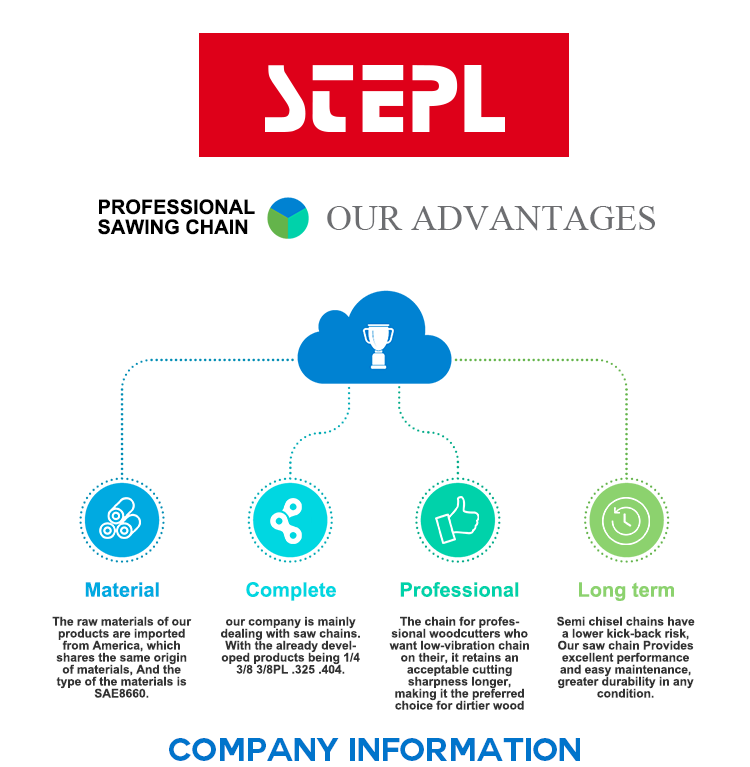 Q:what is your saw chain sample fee ? A:Triple wholesale sample fee can be return after place the order. Q:How to visit the factory ? A:After we checked in the mail or the chat tools,we will send the car free to pick up you. Q:what is your mass products delivery time ? A:20-40 days for 5000pcs.exact time should be according to your quantity and our production schedule. Jinhua Jijin Industry & Trade Co., Ltd.